Expertise + Money = Success! Curious about how to get more out of your website and social media efforts? 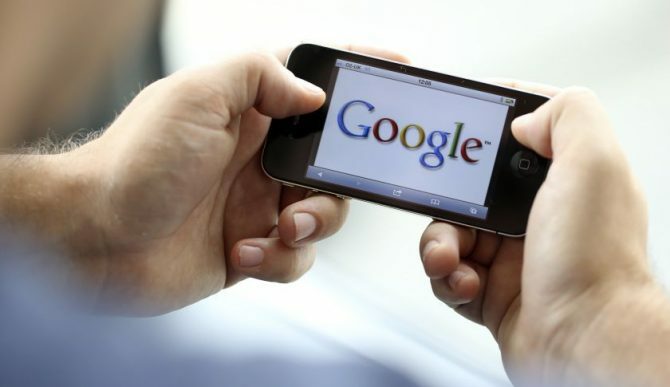 How about capturing more business via Google? Would that change your outlook for 2018? You can do it, and this post is about how you can do it. It’s going to cost you and also require some talented expertise in content and something called outreach. You can learn more about outreach here. The talented expertise I’m referring to are excellent content creators and innovative, expert outreach specialists. 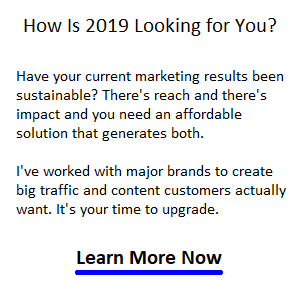 Combine one additional ingredient to the mix, and you’ll rocket your traffic and sales results into the stratosphere. Let’s find out what the ingredient is and how this actually works. It’s kinda simple really. Whether you own a real estate brokerage, car insurance brokerage, or a law firm, the road to big traffic and big revenue is paved with spending. High quality content with laser like messaging is highly valuable and so are the links it might create to your website. You also need lots of links pointing to your web pages if you want to rank high no Google. And why would anyone take the time and effort to link to your website? Because they heard about it or have been to your site. It could be that simple. 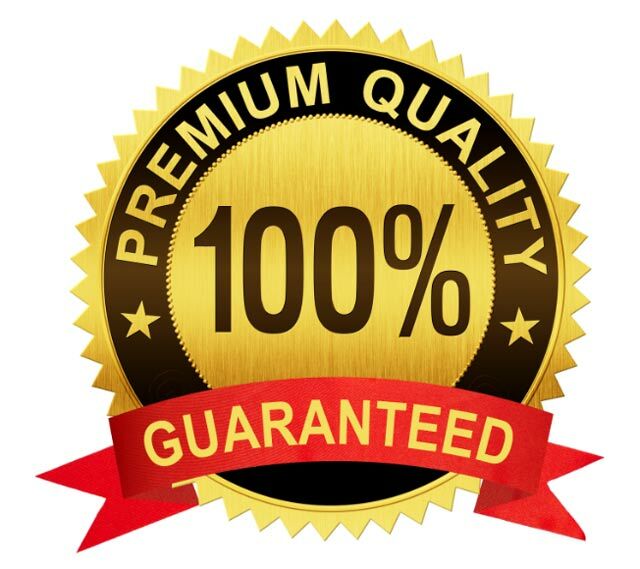 I want to say “high quality content” is king, but in reality, we need to discuss – ppc advertising. In fact, if you don’t advertise, you probably won’t do well on Google and it will hamper your social media success as well. Not only does PPC advertising create customers fast and directly, it’s link creating benefits is something we need to talk about now. When you consider how everything online points to ppc advertising, and how much reach ads have, why is it so hard to believe the ads won’t skew which sites gets linked to and Google’s organic search results? As much as Google’s search engine indexing has improved over the years, it’s still woefully dependent on links to determine which sites will rank at the top. And because links are so difficult to obtain, only the most well-funded websites seem to get these rank boosting results. Companies that spend more freely (but intelligent and strategic) seem to fare better as you’ll learn about below. It’s not that they buy links outright, but rather how they get htem by the strength of their content and SEO strategy. If people don’t know your site exists, or have never viewed your content marketing pieces, they’re not going to link to your website. 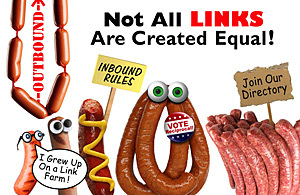 And links are not all equal. Links from influencers and top industry websites are much more powerful. SEO pundits often speak of how brands are influencing rankings — that Google loves brands because of their consistency and popularity. Yet what’s really at play, is that brands have money to burn and they spend it on things that result in awareness such as advertising. That awareness generated in turn results in new, free organic links to their websites. Money does this. When bloggers, journalists and social media users see a company’s advertising and other paid marketing efforts online, they pay attention. It’s a basic equation — advertising creates awareness. So we shouldn’t be surprised that advertising will encourage new inbound links from blogs or wherever. And that in turn will impact Google’s organic search results, or what’s being shared on Facebook. In the auto insurance sector, Geico, Progressive and Carinsurance.com receive phenomenal traffic from Google. They rank at the top for most car insurance quote related phrases. Is it just a coincidence that the biggest advertisers rank at the top in auto insurance search results? Is their content really that much better than all the other websites? Let’s take a big picture look at their website traffic. This first graphic below courtesy of Spyfu.com shows how much traffic Progressive Insurance receives from Google organic search and via Google Adwords. Yes, it is shocking isn’t it? They’re a good company and they take content strategy, SEO and ppc advertising very seriously. The 3 elements compound their results. Spyfu estimates that they save $26,000,000 per month by doing SEO. They spend more on TV advertising and online advertising. The benefits of advertising are obvious and this big insurance company simply capitalizes on that big money effort. Geico’s the same way. You’ve seen their excellent TV ads and these stats below show they spend a lot on ppc advertising too. Again, they save millions on advertising and get a boatload of car insurance buyers arriving on their website. Did you think it was only because of their how to save on car insurance blog posts? Carinsurance.com is a different case. They don’t do TV advertising yet still are a dominant presence on Google search results. However, they spend generously on Google Adwords advertising. Some experts might say it’s coincidence, while others have surmised that advertising does benefit organic rankings. There’s nothing that I’ve seen that would indicate that Google’s algorithm attempts to filter out the visibility advantage that companies who advertise receive (from TV, print, transit, or online advertising). One key benefit of online ads is that even if users don’t click on ads, they often still see the ads. That’s free branding. In my opinion, online advertising is a huge factor in outreach. I’ve seen it with everyone from local real estate agents to auto insurance companies to automobile manufacturers. Advertising pays. And if you hire outreach specialists to magnify the value of that exposure, you can dramatically accelerate the benefits. Yes, there are a lot of benefits if you organize and manage your campaigns professionally. That’s one area that’s giving marketers problems. Many of them to turn to ppc agencies or ppc automation software to get better organized. The point to be made is that the advertising budget is often a sign of commitment, confidence and strategy. The few companies that apply themselves to a strong high quality content strategy, advertising and outreach program are going to dominate their sectors. To do well you need a competitive ad budget and some expert content and outreach specialists. Make a commitment to that do all this in 2017. Success might be that easy.